pendulum gallery | Straight Line Designs Inc. The Splash Auction to support the Arts Umbrella, a nonprofit society providing arts education for children and youth, is coming up on October 16th! You can view the other works to be auctioned online at the Splash site or at the Spash Art Preview Exhibition in the Pendulum Gallery. The Gallery is in thew HSBC Building at 885 Georgia Street and the Splash Art will remain there until Friday, Oct 8th. 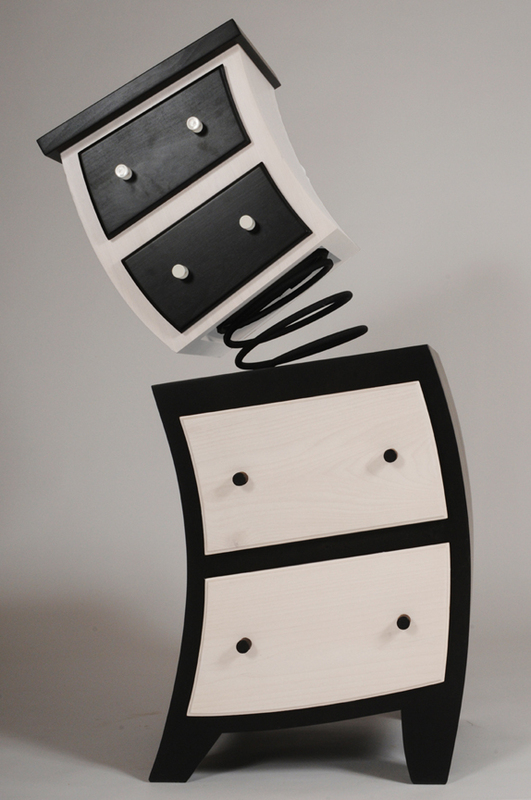 As for Judson’s contribution, the springy, animated cabinet below will be making an appearance. 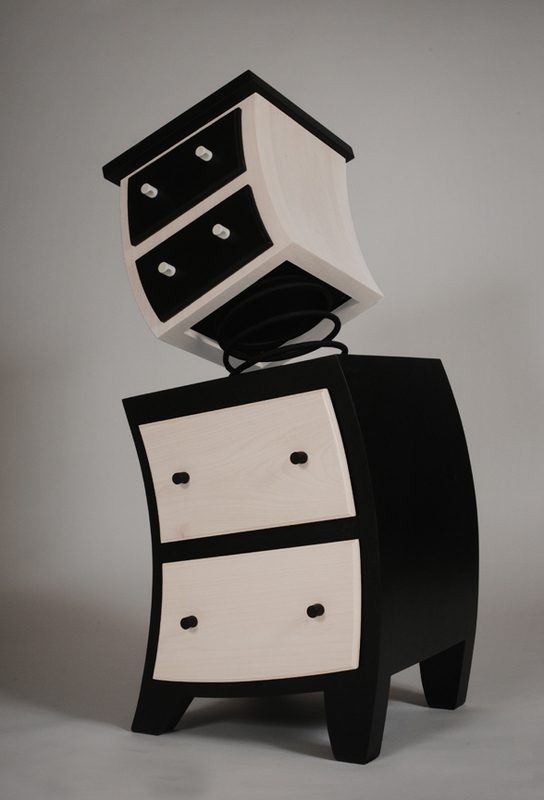 Despite it’s springy personality and bouncy top, the cabinet is fully functional. Jack-in-the-Box Cabinet: Fully Functional, Totally Fun! Jud himself is currently in China and will be giving a presentation at the Canadian Pavilion in Shanghai with BC Wood. Introducing new members of Judson Beaumont’s Straight Line Family!